Take advantage of Calibracier for technical subcontracting or if you are over-loaded! 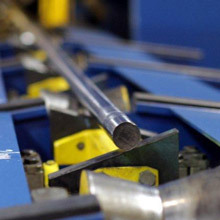 Expert in high-accuracy customized services, Calibracier has been offering for nearly a century subcontracting solutions in cold transformation on cylindrical bars & tubes, according to Customer request. We are able to work on length up to 15 meters long, no matter the diameter and without minimum of order.